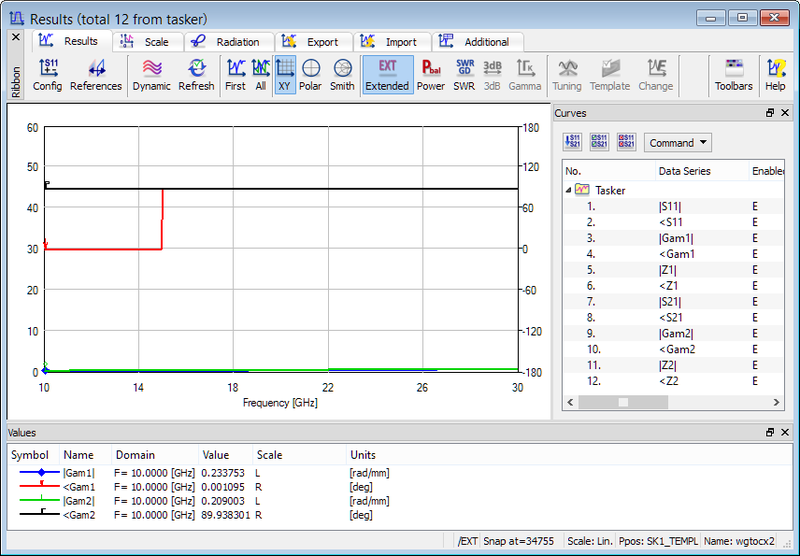 QuickWave enables calculations of the frequency dependent complex propagation constant in the transmission lines. The propagation constant is calculated at each transmission line port. It is given as a magnitude and phase curves, which can be easily transformed into real and imaginary parts using the built in calculator functions. Frequency dependent propagation constant is calculated when S-Parameters post-processing is active. The magnitude is available in a standard Results window display and the phase becomes available when the results are displayed in the Extended Results regime. See also online documentation about frequency dependent propagation constant.